This chicken salad recipe makes a delicious, quick meal. 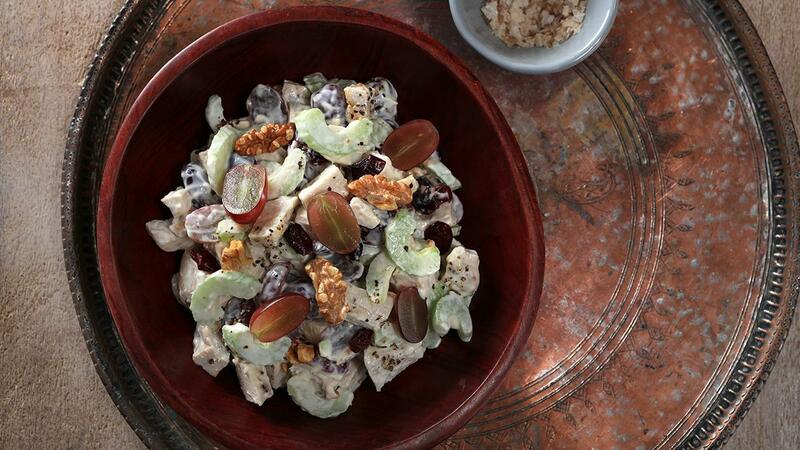 Made with chicken, grapes, and roasted nuts, it is always a favorite. Add chopped chicken to a large bowl along with celery, grapes, dried cranberries, chopped walnuts, Best Food’s Real Mayonnaise, salt and pepper. Stir together until just combined. Add whole walnuts over for garnish.